From a metal perspective, 2019 has been decidedly underwhelming so far. When the promo bin threw me a melo-death album by a band whose name sounds like an adolescent parody of iconic metal giants, I had little hope that things would improve. This sophomore effort by Finnish band Rifftera follows 2015’s Pitch Black; a self-produced smorgasbord of melodic death metal, thrash, power and prog, smashed together with the grace of a junkyard compactor, and then played with the dial at 11. It was fun, but it was a mess. In the intervening 3 years, the band has acquired a permanent drummer, found a record label, and honed its craft. They have also produced a ridiculously fun slab of melodeath and thrash that sets the bar for the rest of the month. 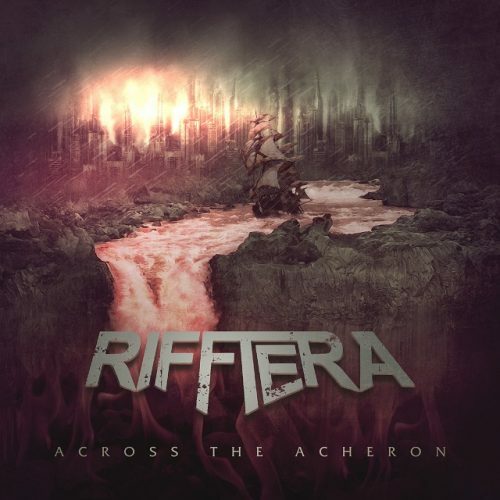 The first thing to notice about Across the Acheron is that instead of throwing a million ideas at us and hoping that one or two stick, Rifftera have wisely decided to focus on their strengths: fun thrash and expansive, crunchy melodeath. Opener “Burning Paradise” establishes the template: a thrashy start, which then breaks down into some furious blast beats and growls, before returning to the thrash. 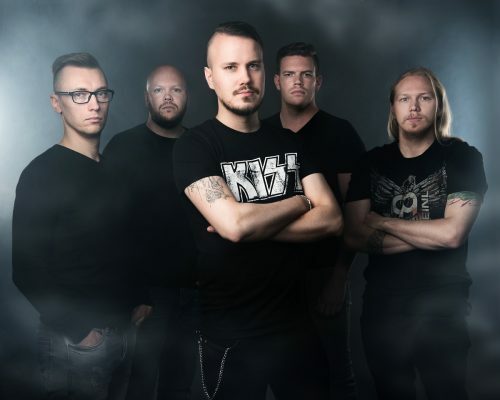 There’s also more than a hint of power metal which combines well with the high-pitched, clean vocals. “Cutthroat Game,” the second single, features catchy, propulsive riffs tempered with enough heaviness to keep things grounded. And just when you think you know where it’s going, a Children of Bodom-type keyboard bursts into the fray and elevates the chorus to something almost transcendent. It’s the best song I’ve heard this year so far. Meanwhile, on the rest of Across the Acheron, the alternating between thrash and melodeath means the songs avoid too much repetition. Svavelvinter’s recent Mörkrets tid showed that deep, growled vocals and high pitched, clean tenor are a bit like bacon and maple syrup: great individually, but unexpectedly tasty when combined. Rifftera mine the same territory here to great success. Rifftera’s songwriting has improved markedly from Pitch Black. The focus on core strengths has allowed the band room to explore their musical ideas, rather than just frantically ushering us to the next riff. Guitarists Janne Hietala and Mikko Kuoppamaa are happy to paint expansive sonic landscapes and show restraint at key moments that Pitch Black lacked. The addition of drummer Ville Härkönen to the line-up will probably not be noticed by many, but his rock-solid contribution is a large reason why the Across the Acheron flows as well as it does. The songs take the time to develop organically, best illustrated by album closer “Across the Acheron,” which builds to a satisfying climax by patiently and deftly letting each idea build upon the one before it. The tracks are also varied, with harsher cuts like “Eye of the Storm” contrasting with the gentler “Cutthroat Game” and “Deep Waters” to keep the listener engaged. When dynamic writing is combined with a crisp and balanced production, the album feels much shorter than its 58-minute length. And yes, true to its name, Rifftera doesn’t skimp on the riffs when it needs to. All of the above make for a varied and satisfying listen. These guys are having fun, and their enthusiasm is infectious. Quibbles are few and minor: some of the songs, despite the surfeit of ideas, are a bit longer than they need to be. Rifftera also seems more comfortable playing the thrash elements of the album, with some of the harsher parts, noticeably on “Cry Wolf,” occasionally feeling forced. Nothing here is particularly original or groundbreaking; despite the expansive nature of the songs, they still operate within the well-worn framework of the genres they’re blending. Nevertheless, Across the Acheron has come to end the short drought of quality metal in 2019. It is a thoroughly enjoyable piece of thrashy melodeath by a young and hungry band that will make even the most cynical among us smile. Considering my expectations, I am more than pleasantly surprised, and I suspect you will be, too.